Picking Your Practice Priorities – Love. Life. Practice. One of the best books on Zen I’ve ever read. Last Monday I let an opportunity slip through my fingers. I had a chance to visit the Dogen Sangha Los Angeles meditation evening which is led by Brad Warner. I’ve been reading and learning from Brad’s books and columns for well over a decade now, and this would have been a chance to meet him in person. But there was also a big family dinner in Los Angeles where my hosts and their friends were all coming together to share food and convivial celebrations. Included in this was one of my longstanding friends and patrons, a man who has always supported me and my work, and someone who (for various reasons) I’d not had much chance to talk to. So what do you do when two of your goals collide? I confess I felt conflicted. 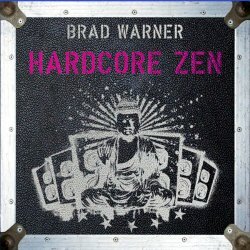 On the one hand, I’ve wanted to meet Brad Warner for ages. Surely there would be other times I could hang out with my friend. Then again, surely my friend would understand me wanting to take this chance to see one of my heroes! I have several different goals; certainly I want to get out and meet other people in this wonderfully lucrative field of personal development blogging. But I decided back when I moved back to Madison that I was going to follow Dan Gilbert’s advice about happiness and focus on friends and family. I can tell you what I did: I focused on strengthening the connections I already have, staying with my hosts and sharing a meal and laughter and spending some specific time with my neglected friend. I can’t say it was entirely purely motivated; I was also very tired from facilitating an Open Space that weekend. But I do know this: at the end of the night, I did not feel the worse for having missed Brad’s zen meditation session. That’s no reflection on him; in fact, I suspect if I’d asked him what I should do he would have suggested exactly what happened. What it comes down to is: building on what you have probably has better odds of success than neglecting it to try and find something new. Not always. Had there not been a dinner that night, I certainly would have gone to the meditation session, and this would be a different blog post. Have you ever had your goals or practices collide? What did you do?